A feature in VegNews is a dream come true for me, and marks an important rite of passage in Journey’s journey. 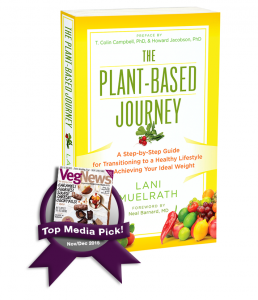 In the November/December issue of VegNews, you’ll find The Plant-Based Journey featured in the Top Media Picks for today’s best books, blogs, and more. We all need a little wisdom in life. Thankfully, award winning nutrition and fitness specialist Lani Muelrath is here to help. 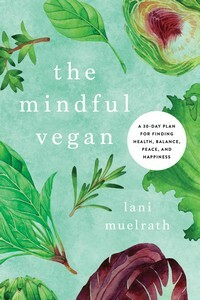 With more than 4o years of plant-food experience, the author’s latest book (#1 Hot New Release on Amazon) points to scientific research to help guide everyone from lifelong omnivores looking for an “awakening” to seasoned vegans needing a refresher. By showing people how to take control of their health through diet, exercise, and lifestyle strategies, Muelrath’s first-rate advice is only made better by her accompanying 25 mouth-watering recipes. 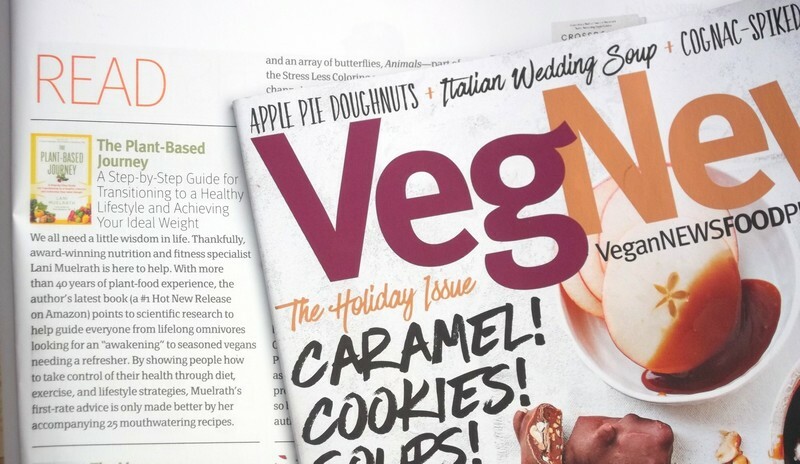 If you subscribe to VegNews, perhaps you have your copy of the new issue already! 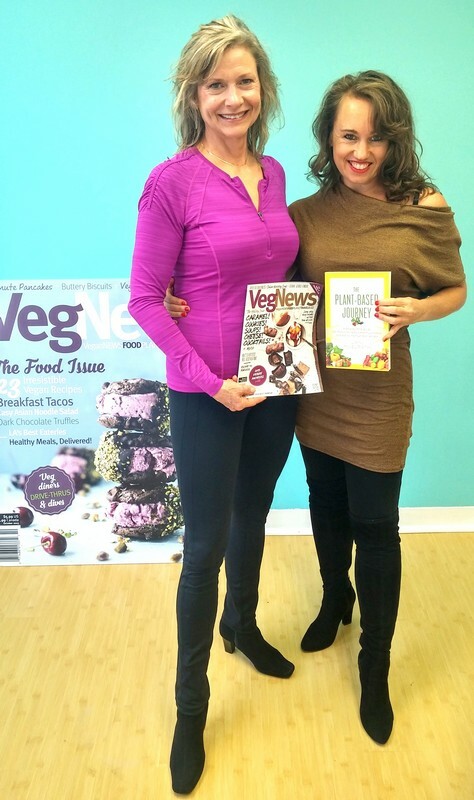 Mine hasn’t arrived yet, but I was able to snap up a gift copy when I was invited to come by the VegNews offices in San Francisco for a photo (below) with the new issue and VegNews Publisher and Co-founder Colleen Holland. This issue of VegNews is their most popular of the year, as it features the reader awards, VegNews awards, and honorable mentions of all sorts. In this issue of VegNews – the November-December issue – you’ll see profiles also of several superstars in the veg community: Gene Baur (book of the year, The Farm Sanctuary Life! ), Miyoko’s Creamery (product of the year), Moby (person of the year), a feature by new author Tracey Stewart, and a joy-of-eating assortment of holiday recipes and gorgeous pictures. 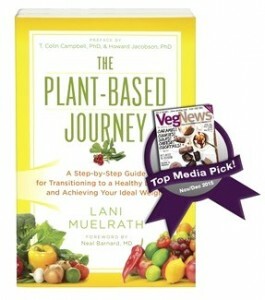 Thank you, VegNews, for putting this star on Journey’s chart! More people need to know about how important this is! Lani, I have your book and I am avidly applying your recommendations. Your approach in giving us templates is fantastic brilliance in helping aspiring Vegans to easily implement a healthier version. I call myself Veganish, but not quite totally committed to a plant based approach. But your templates and permission to eat more whole based starch in addition to veggies, fruits and nuts and seeds and beans, tofu and tempeh with condiments makes the lifestyle easy to implement. 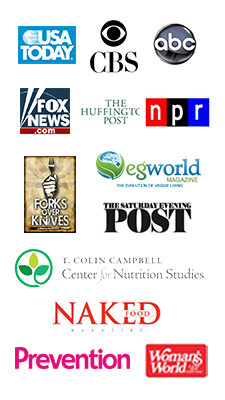 Please continue to write and to help us to achieve higher levels of health, well being and to provide more tips on how to do this in a meat based world with meat eating family and friends. Love all you are doing. Sheryl, you are giving me chills here friend! What a delightful review and THANK you for being so specific and for taking the time to post it. It means a lot to me to know exactly what means a lot to YOU! And that you are finding Journey so friendly and helping you ease your way forward. Fabuloso! Muah! I got my copy a few days ago and saw the feature as I was perusing it today. So glad the WFPB word is getting out in the vegan community! Julieanne, what a nice surprise! And you’re right, it’s nice to see the worlds overlapping and informing eachother. Thank you Penelope! Do you get VegNews by the way?